How do I book a rental home? Once you have found the right home for you contact us by either email (aquavacationrentals@gmail.com) or phone (269-588-9600) and we will answer any questions you may have, gather some information and get a lease together for you. Your reservation is not confirmed until we have received a signed lease and payment. Can I see the property before I book it? If the home is available for a showing we would be happy to make arrangements for a meeting and walk through of the house you are interested in. Showings are best done during the weekdays and we need at least a 24 hour notice to show a home. What’s required to book your property? When reserving a property with us we will send you a lease via email for your signature. We ask for 50% of the total amount upfront and your final payment is due one month before your arrival. We prefer Chase Quick Pay/Zelle (bank to bank transaction), credit card (3% fee) or personal/cashier check. Where do we send payment to? The deposit is refundable less a $300 cancellation fee if cancelled 90 days prior to the agreed upon arrival date. NO REFUNDS are given if the cancellation is received less than 90 days prior to the agreed upon arrival date. Any final payments not yet made will be charged to the guests credit card upon cancellation. Agent will make reasonable efforts to rebook. All cancellations must be in writing and delivered to Agent by mail or email. There is no refund for early departure. Are there any additional fees when booking? 6% tax and a cleaning fee is added to the weekly rental rate. Cleaning fees vary depending on property. If using a credit card for payment there is a 3% fee added per transaction. Check in is at 4:00 pm Michigan time (EST) and Check out is at 10:00 am Michigan time (EST) unless otherwise specified. Can I check into my rental home early? Check in is at 4:00 pm Michigan time (EST). If your check in instructions stated you can arrive earlier then 4:00 pm Michigan time (EST) then go by those instructions. If your home is ready early we will contact you to let you know that you may get into the house early. Please note that you will not be able to get into the house to drop groceries until your check in time as the housekeepers will be cleaning and getting the house ready for your arrival. If you get into the area early there’s plenty for you to do before your check in time. You can explore Downtown New Buffalo, go to the beach, check out Warren Dune’s State Park, let the kids play at Oselka Park, New Buffalo Township Park or Galien River County Park. There are also plenty of areas for lunch like Stray Dog, Dooley’s, Redamak’s, Red Arrow Road House and many others. How do we get access to our rental property? We love to build lasting relationships with our guests and therefore, we will meet you at the house to let you in, give you a tour, answer any questions you may have about the house and the area then hand over the key. Specific check in instructions will be sent to you the week of your arrival. What kind of supplies can we expect at the property? All of our homes have linens, towels, blankets, bed coverings and kitchen towels at the property. We start you off with the following supplies and then you are responsible for the rest during your stay: 2 rolls of toilet paper per bathroom, 1 roll of paper towels, 2-3 garbage bags, some dishwasher pods, hand soap at each sink, some laundry soap and dish soap. Often times guests have left behind supplies and you are welcome to use that. When you are arrive at the property take a moment to inventory the items you may need and you can purchase at our local grocery store. Can we have extra guests at the property during our stay? 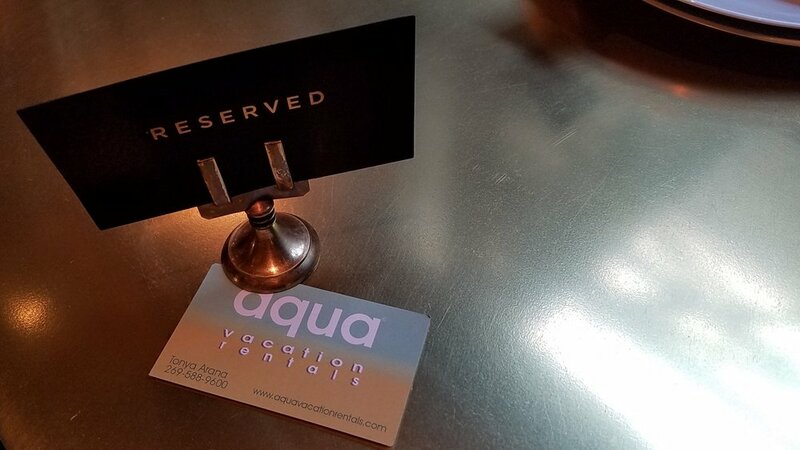 Each of our properties have an occupant limit and is in place to ensure that guests are following rules of the homeowner, Association (if in one), Aqua Vacation Rentals and are being respectful to the neighbors. Your rental agreement will specify number of guests and number of cars allowed at property. Please abide by this or you may be in jeopardy of voiding your lease agreement and asked to leave the premises. Please contact us if you have questions regarding this. Smoking is absolutely not allowed in any of our homes and that includes the attached garages and screened porch. If you do smoke please do so outside of the house and dispose of butts appropriately. Any debris left behind that staff must clean up will be charged to you and taken from your refundable damage deposit. Some of our homes are pet friendly and others are not. This is shown on our website. If you are unsure please contact us for more details. Your lease agreement will also state whether a home is pet friendly or not. Some pet friendly homes have a limit to weight and number of pets allowed. Are there any hospitals or urgent care centers in the area? Barney’s is the closest grocery store and is located in New Buffalo. For bigger box stores you will need to travel to Michigan City, IN. Where can I rent bikes, paddle boards, kayaks, beach items, etc.? Red Arrow Ride located in Union Pier on Red Arrow Highway is open during the Summer months for bike and scooter rental. They also rent paddle boards, kayaks, maui mats, floating devices and much more. Contact them direct to rent. Where can I rent a boat or jet ski in the area? Oselka Marina has boat and jet ski rental. Contact them direct to reserve. Where can I launch my boat in the area? The nearest boat launch is in New Buffalo. The City Boat Launch is located at 201 Marquette Drive, which is about 1,200 feet northeast of the Whittaker Street Bridge. The bridge to Lake Michigan is an additional 2,000 feet, approximately. I have left items behind, how do I get them back? If we must ship items back to you that have been left at a home there is a $25 fee plus the shipping and packing fee. We are checking out of our rental but I would like to book for our next visit. How do I do that? If you have stayed in one of our properties and would like to book it again for your next visit please contact us via phone or email to let us know.